To celebrate National Library Card Sign-Up Month, the Howell Carnegie District Library is inviting Howell-area employers and employees to open a card. 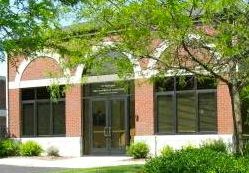 The free Howell library card enables the owner to use any of the library’s services, including ebooks, emagazines, downloadable audiobooks, DVDs, music CDs, programs, free wi-fi, and a business resource center. The library is open 10 a.m. to 8 p.m. Monday through Thursday, 10 a.m. to 5 p.m. Friday and Saturday, and noon to 4 p.m. Sunday. To get your free card, bring your ID and proof of Howell-area employment to the library, located at 314 W. Grand River Ave. in downtown Howell. For more information, go to www.howelllibrary.org.